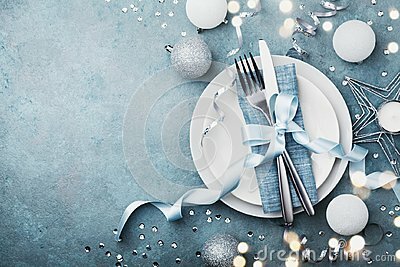 Elegant christmas table setting for holiday dinner top view. Empty space for text. Bokeh.